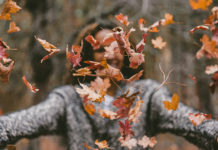 Home Lifestyle Books Is the American Church Ready for What’s to Come? 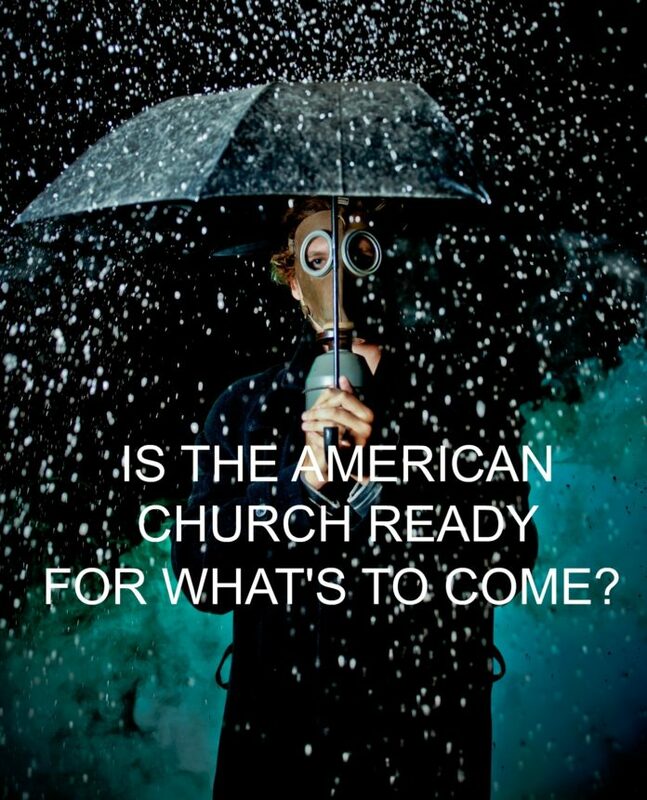 Americans like to be prepared and in control. We prepare for vacations, prepare our kids for college, prepare for our meals, and prepare for retirement. But what if we are neglecting the most important preparation of all—our spiritual lives? I pray like this because I know it is hard to be a Christian who truly attempts to practice and grow in their faith. My intention is not to be all gloom and doom, here. I’m being realistic. Whether you are a Christian or not, life is hard. We all face trials. The Bible teaches that Christians should expect trials and persecution. If we are to expect trials and persecution, shouldn’t we prepare for them? Somewhere along the line, we got the idea that when you become a Christian, life will be easier. I’m here to tell you, that’s a lie. And it’s not Biblical. Jesus warns us that there is a cost to pay for following Him. There have been many recent studies on the condition of the church in America. One of the most disturbing came from author David Sanford’s 2008 book, “If God Disappears”. The book addresses what Stanford saw as an epidemic. His research showed that there was at that time 35 million professed Christians who had once attended church but no longer did. By 2014, he shared, the number had risen to 42 million. 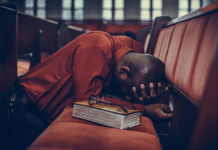 According to a survey done by Pew Research in May 2015, The Christian share of the U.S. population is declining, while more than one-third of millennials now say they are unaffiliated with any faith. My friends, we need to be prepared to handle what the world, the devil, and our sinful nature are going to throw at us. Otherwise, as weak human beings, we will fall away and let our spiritual lives dissolve. It’s happening all the time. I bet you’ve experienced a friend or family member who used to practice Christianity but has since walked away from the faith. Is someone coming to mind? What we need is a Spiritual Prepper Course. An excerpt from the back cover is below. The world appears to be spiraling out of control. Christians are being persecuted. American religious liberty is under attack. The church is struggling. Immorality is intensifying. Many believers have quit practicing their faith. Christian leaders are searching for answers. 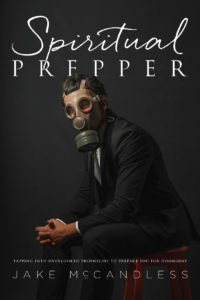 Spiritual Prepper explains the prophetic passages in the Bible that will provide answers to challenges of the faith and help us cope with what might possibly be our own spiritual doomsday or turning away in the face of spiritual disaster—persecution, moral decline, devastation of the family, departure from biblical truth, the faltering of the church. I spoke with author, Jake McCandless to find out about his inspiration for writing this helpful book. “And because of the lack of strength within churches, I think a lot of those who have a heart to live for the Lord are just discouraged. That’s a struggle we face. 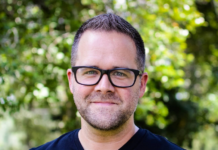 We just need to know from the get-go we’re not being trained up as fast as Christians from the past and in other parts of the world, which makes us susceptible to the challenges we may face,” said Jake. In Spiritual Prepper, Jake exposes the weakening church with sobering and challenging real-life stories. Each chapter tackles common issues we face daily that could lead to our spiritual doomsday. Just as doomsday preppers make checklists for survival, this book offers a checklist at the end of each chapter for spiritual survival. The concluding chapter offers a helpful Master Spiritual Checklist. This book can be read alone or done as a group study where members discuss their takeaways and hold each other accountable. I would recommend the later. Fellow Believers, we need to be prepared spiritually. We prepare for most everything else. But are we neglecting to protect our most important treasure—our immortal souls?